The Gatlinburg Convention Center sprawls across a city block, quiet and empty on most mornings. But it doesn’t stay that way for long. When things are quiet at the Convention Center, it only means another big event is coming soon. It’s exciting because every day it’s something different,” says Debbie Orsburn, manager of the Convention Center. Orsburn underwent a total knee replacement at Fort Sanders Regional Medical Center in December 2017. “I felt like my knee was giving out, and I thought I was going to fall and break a hip,” Orsburn says. For an energetic, task-oriented person like Orsburn, feeling on the verge of collapse was unacceptable. But she wasn’t enthusiastic about the prospect of knee replacement surgery. Orsburn remembers her mother coming home from hip replacement surgery in the early 1960s. Her mother was lying on a board in the back of the family station wagon. It was a time when patients had to travel long distances out of state for joint replacement. For her mom, the whole process had been grueling, and the recovery had taken a very long time. Even so, knee replacement was a hard decision for Orsburn. The last time she’d had surgery she was a 7-year-old child having her tonsils removed. 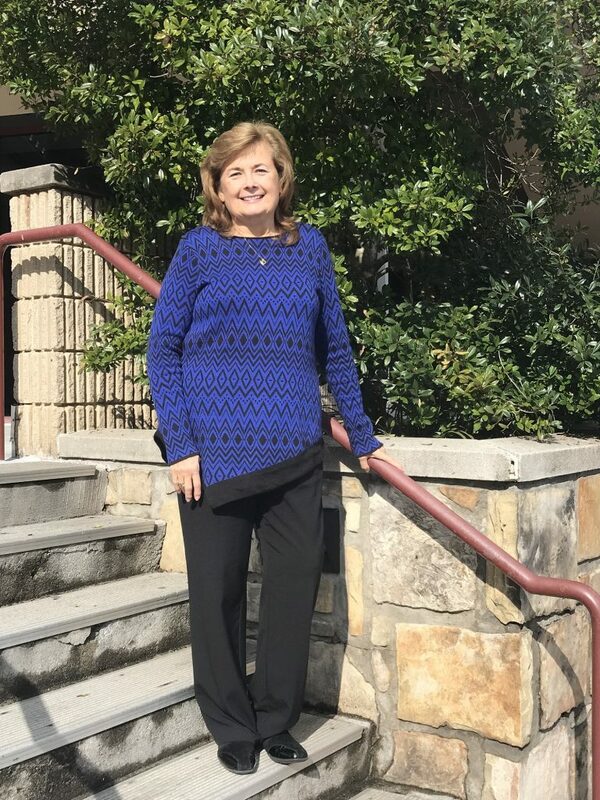 She could host thousands of people in the course of a weekend at the Convention Center, but the thought of undergoing surgery in a hospital made Orsburn a little afraid. Thankfully, Dr. Yau helped put her fears to rest. Dr. Yau discussed all of Orburn’s questions in full detail before surgery. “He made me laugh. He just made me feel comfortable,” Orsburn said. She felt even more comfortable when she checked into the hospital. A day later, the knee replacement surgery was done and Orsburn was well enough to leave the hospital. “I went home the same day!” she says. Orsburn’s advice to others who may have trouble with faulty knees is simple: “Don’t wait!” she says. Now it’s time for Orsburn to get on the move at work and in life. She wouldn’t have it any other way.